Offering a range of classic Italian smokers in a no-nonsense style, Rossi's Lucca line is perfect for your customers who prefer larger pipes. All the designs in this series are scaled up to "EX" proportions, providing smokers with loads of chamber and plenty of insulating briar all around. 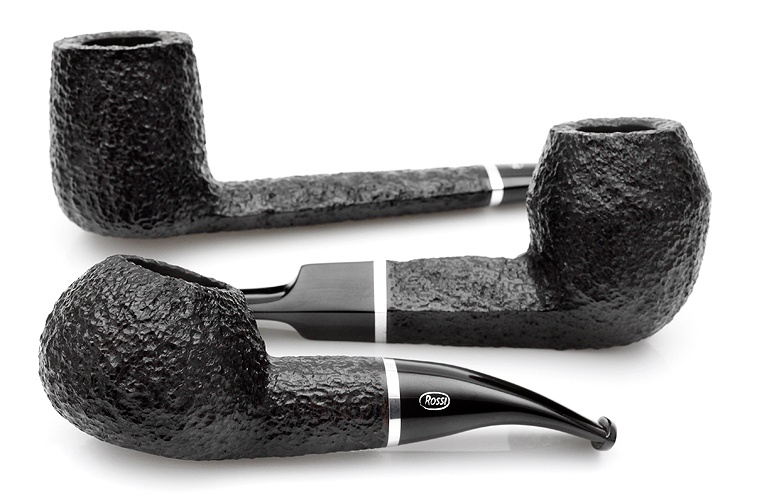 All pipes in this line are also finished in an extra dark, rugged rustication and accented ony by a thin ring of bright nickel, keeping the focus on the shapes themselves. You can now purchase the various shapes in this line individually.